A recent poll challenges the stereotype that people of color aren't interested in outdoor recreation or national parks. New America Media surveyed 900 African American, Latino and Asian Pacific-American voters nationwide about their recreation habits. Seventy percent of participants said they enjoy activities like picnicking, camping, fishing and hunting. And 57 percent of respondents said they've visited a national park — more than two-thirds of them in the past three years. 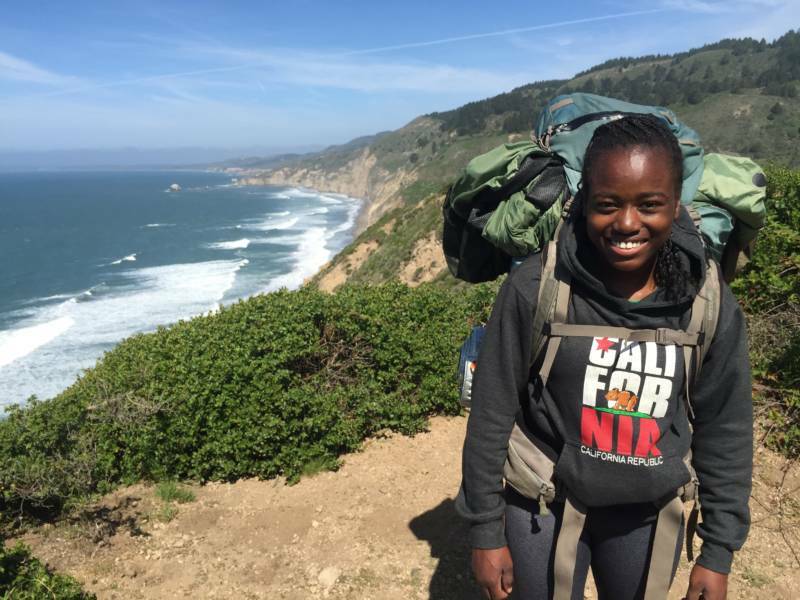 The numbers do not surprise Rue Mapp, the founder and CEO of Outdoor Afro, which sponsors outdoor activities. She says she's talked with lots of blacks who love spending time in wild places. It’s important to note that the poll surveyed voters. The results reflect higher interest levels than one might deduce from national visitation numbers. The most recent survey of national parks in 2009 showed that only one in five tourists was a person of color. Yet, the country is twice that diverse. Survey respondents cited long distances and costs as the main reasons they don’t visit national parks more frequently. People of color are more likely to choose a community park near their home than trek to an unknown destination that may be expensive. “They're simply unaware, to a great extent, about the national public lands that are available around them whether it be parks, forests, historic sites, etcetera," says Anthony Williams of Bendixen & Amandi International, the public opinion research firm which conducted the poll. Several African-Americans I interviewed on the streets of San Francisco expressed a similar sentiment, for a recent story about efforts to increase diversity in national parks. Besides not knowing which national parks are nearby, some people I talked to said they don't feel welcome and think of national parks as playgrounds for white wealthy folks. Williams says increased outreach efforts are needed to educate underrepresented groups that neither the location nor the cost of many national parks is prohibitive. Eighty percent of survey respondents support proposals to increase visitor access through urban parks, monuments, historic and cultural sites that focus on the contributions of minorities in the country. 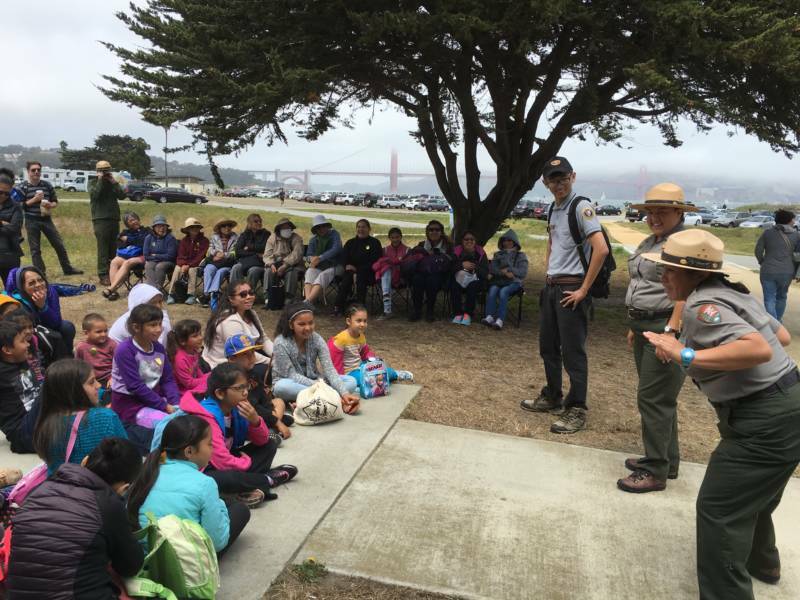 Until now, the National Park Service has not focused on marketing to communities of color because the the majority of the U.S. population has been of European descent. But demographics are changing. The Census Bureau predicts that by 2043, communities of color will be the national majority. The release of the New America Media poll coincides with a national tour this week by federal officials who are commemorating the 100th anniversary of the National Park Service. U.S. Secretary of the Interior Sally Jewell and Small Business Administrator Maria Contreras-Sweet will tour César E. Chávez National Monument in Southern California on Wednesday, August 24. They will then hold a town hall discussion addressing diversity and inclusion at national parks.